You wouldn't race one, right? Wait, would you? If you've ever driven an electric vehicle, then you've experienced the instant torque of an electric motor. And if you remember driving an old 5-speed manual gas-powered car, then you know that it takes a lot more work to get up to 65 miles per hour there than in a single-speed, fixed-gear EV. If you take this knowledge and apply it to semi trucks, then you won't be surprised in any way by the video below. 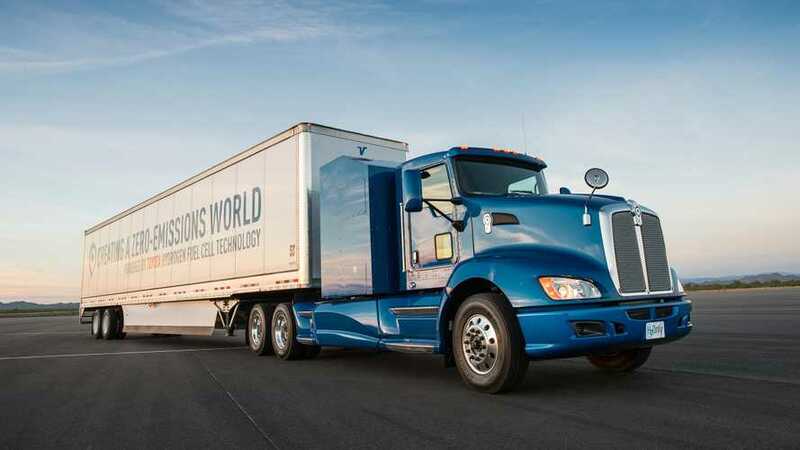 Last week, Toyota gave out more details of its Project Portal hydrogen semi that will go into service at the Ports of Long Beach and Los Angeles in California this summer. Toyota has only built one truck, so the automaker doesn't have any extras to take to the drag strip. Still, Toyota did find the time to film both the Project Portal and a standard, Class 8 diesel semi accelerating on a wide expanse of asphalt. As you might suspect, the Toyota wins. The Project Portal semi is powered by two fuel cell stacks taken from the Toyota Mirai. In the Mirai, one stack outputs 153 horsepower, but the way the two are strung together in the truck, they offer, "more than 670 horsepower and 1325 pound feet of torque." This, plus the 15.5:1 fixed-gear nature of the zero-emission powertrain means that it's simply easier for the hydrogen semi to accelerate than a diesel big rig with 18 gears. Of course, Toyota is not alone in the zero-emission hydrogen/electric semi truck game. Nikola Motors introduced its big hydrogen semi dream last year, and Tesla, of course, is also working on ... some sort of semi. 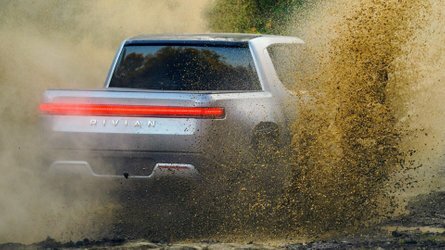 Quick acceleration is not the raison d'etre for a big truck – the ability to haul 80,000 pounds wins there – but we can only imagine that easier, smoother acceleration is as nice in a giant truck as it is in a compact car or SUV. Source: Toyota, Car & Driver, Hat tip to Sven!